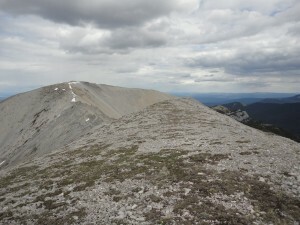 In June 2014, I loaded up with a friend and headed for Marble Range Provincial Park for an overnight trip on the Wild Horse Ridge near Mount Kerr. The total distance up and down is about 22km but we decided to spend the night and take it easy. 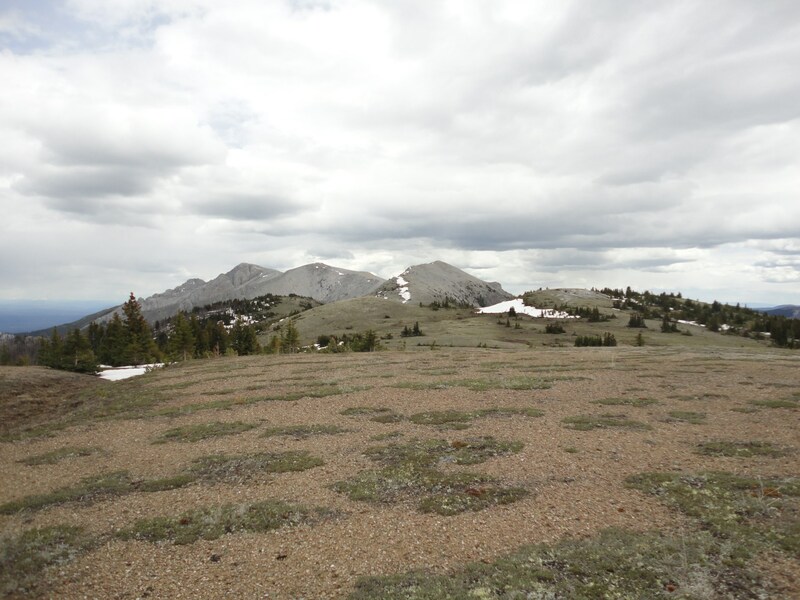 This is a little known area of which there doesn’t appear to be a lot in the way of trail information available because it’s a remote and little used location. Using what info we could find from a popular hiking and camping forum, and from the few geocaches in the area, we were able to easily find the trail head. I would note that it’s a good idea to have a high clearance vehicle to reach the furthest parking spot as it does get quite rough on the way in. The first bit is just along an old road before it narrows into an easy to follow single track through the forest. 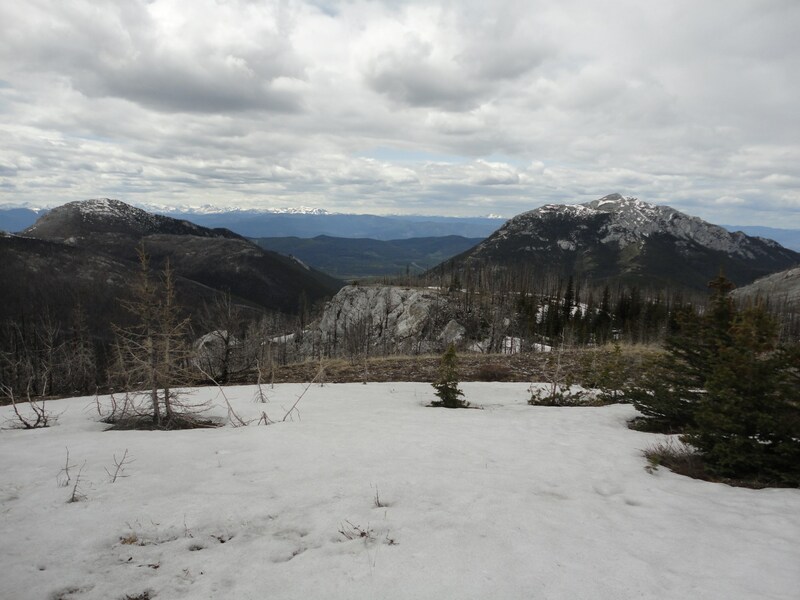 There isn’t much to see but after about 3 km or so, you reach an area where the trail splits; one route heads for Mount Bowman and the other trail continues on to Wild Horse Ridge. There are also signs that people have camped here in the past judging by the old fire rings. This is also the last place you can get water before heading up into the alpine. As there is no running water to be found up higher, in the summer months you will need to carry all the water you’ll need if you intend to spend the night. Earlier on in the year, there is snow to be found, so we were able melt it for cooking and drinking. 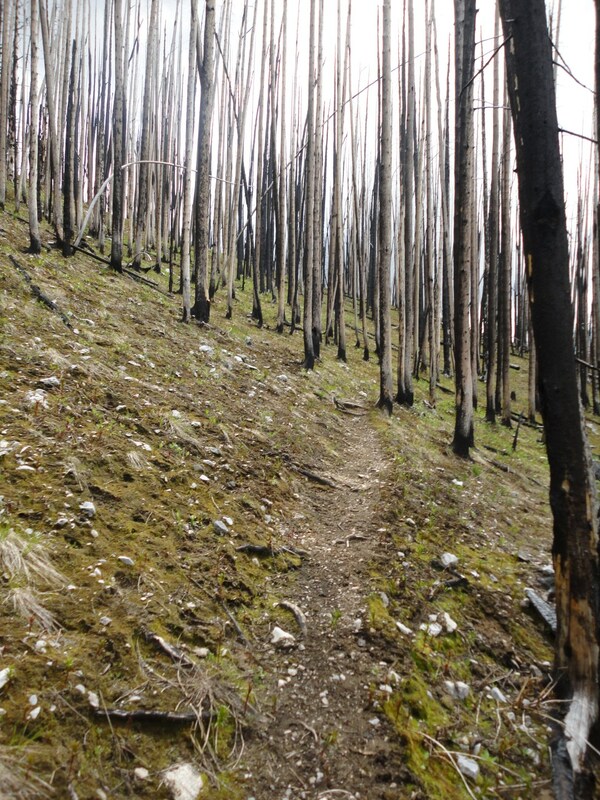 Shortly after leaving the watering hole, you enter the remains of a forest fire that burned through the area in 2010. 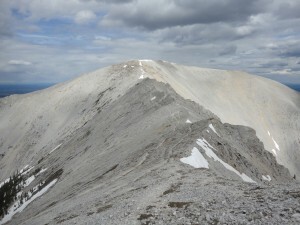 It’s a bit of a depressing hike at this point while you continue to wind your way up. The ascent is not really steep but you do gain quite a bit of altitude for the next few kilometers. Eventually you reach a series of switchbacks that take you up over the saddle into the subalpine forest. 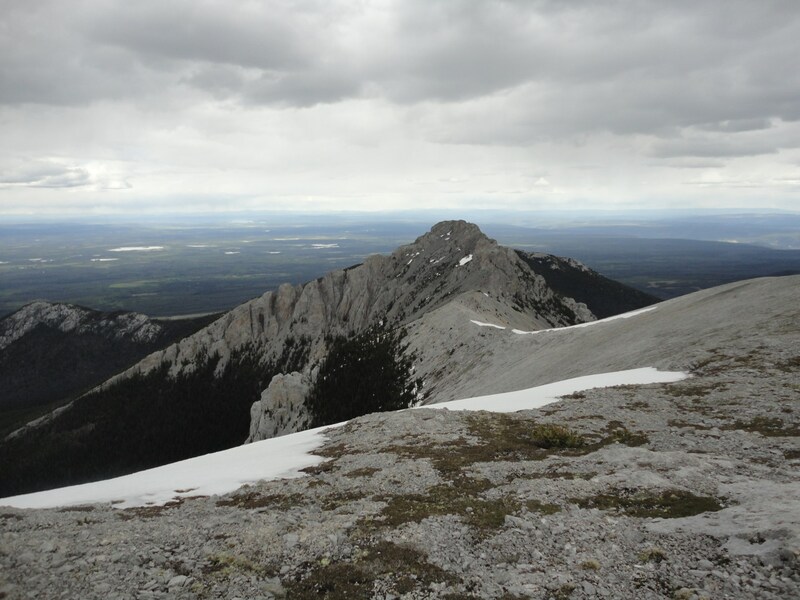 Due to the snow here, we lost the trail and decided to just point ourselves at Mount Kerr and go straight towards it using a GPS bearing. 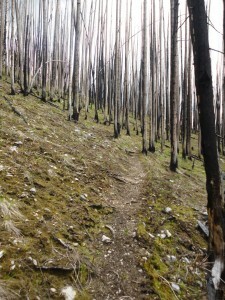 It actually proved to be a good idea and probably was far more interesting than the trail, which would have continued winding through the fire ravaged forest. 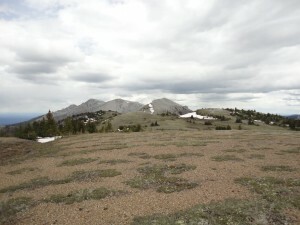 We were quickly able to get out of the snow and into the alpine meadows where it was a clear shot at Wild Horse Ridge. From here it was an easy hike to a point where we decided to set up camp. 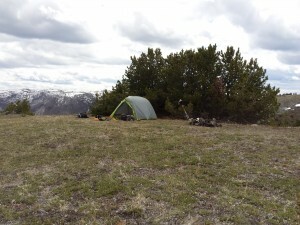 There was a fire ring already in place, snow nearby as a water source, and plenty of old, dead trees that we could scavenge for firewood so all in all, an ideal location for a basecamp. 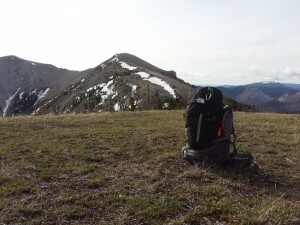 After setting up the tent and having a quick lunch, we were off to explore the ridges on the way to Mount Kerr. 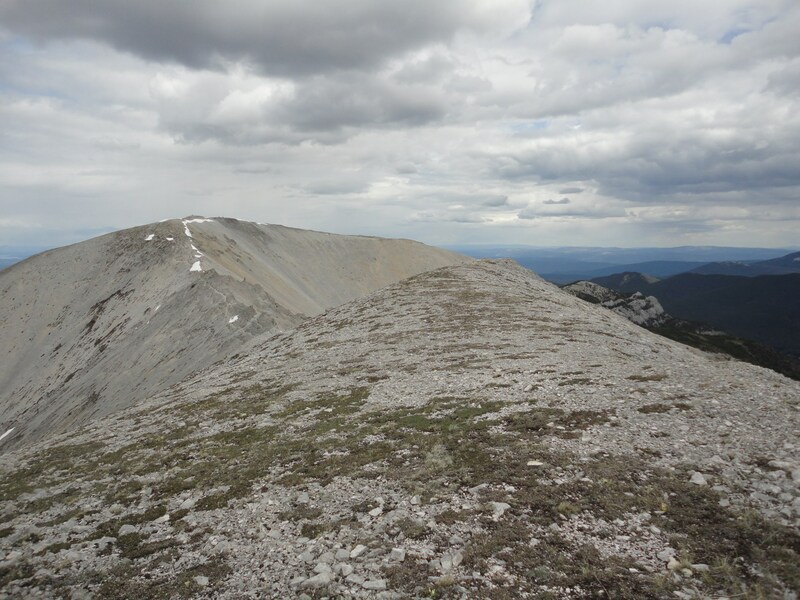 The first while was a bit of a climb until you reached the top of the first peak/ridge but once up there, the views really opened up and the trail got somewhat easier. After an hour of following the ridge trail and scrambling where there was no trail, we reached the furthest point we went to that day. Other trail reports I’ve come across have made mention that people do continue onwards to the next peak but as it was getting late in the day and threatening to rain, we decided on a quick snack and then headed back to camp. Arriving back at camp, we collected wood and prepared to settle in for the night. We got lightly rained on but we were lucky as the heaviest rains seemed to be missing us. A good thing since we were really exposed and did not have a lot of shelter. During the night, though, after we had settled into the tent, it poured outside. However, by morning, the rain was gone and we had a quick trip back down to the truck after eating a quick breakfast and packing up. This was a fun trip that I would like to do again sometime in the future. 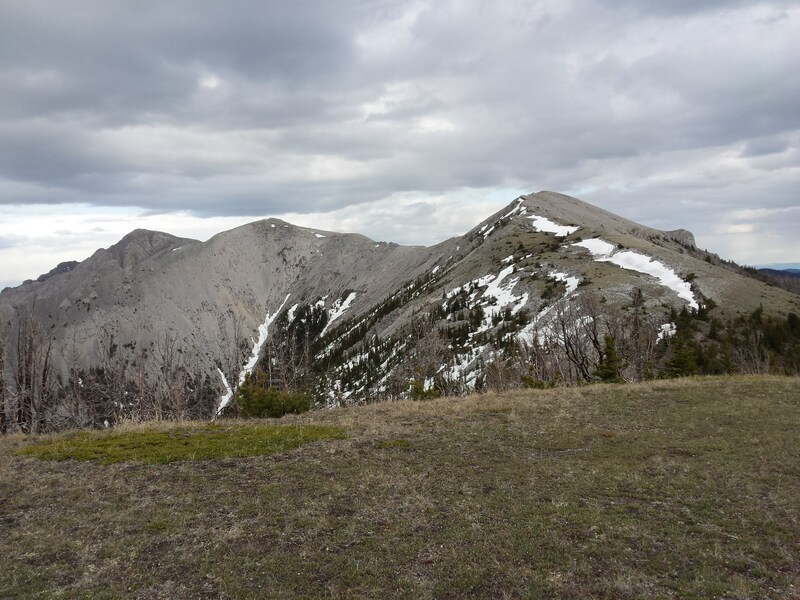 It seems to be a good shoulder season trip and is probably accessible from late May onwards, or even earlier in the year if you don’t mind the snow. September and October would probably also be an ideal time to avoid the summer heat but the lack of water does make it a bit more of a challenge for the overnighter. Hi. You would drive about 20kms from Kelly Lake Road until you will see a road that heads to the east off of Jesmond Road. Aporoximate coordinates are N51° 09.431′ W121° 55.751′.